Fall 1994.....I'm in 4th grade. Jordan and the Bulls were all the rage. Our phone rings. My Mom answers. I hear her talking to the person on the other end for a few minutes. She hangs up and says "They want to know if you would like to play on a basketball team." I immediately say yes. I was chomping at the bit to play. Several of the other kids I hung out with got the same call. The next week we were gathered at our first official team practice. From that day, 20+ years ago, on the dynamic between my friends and I when we played (played, as in getting together to just hang out) was different. Before that first practice when my friends and I would get together we would do things like play Power Rangers or watch wrestling (the good ol' days with Hulk Hogan). After that day it was like a switch was flipped, and we starting doing things like playing basketball on mini/lowered hoops, playing wiffle ball, or other types of active games. 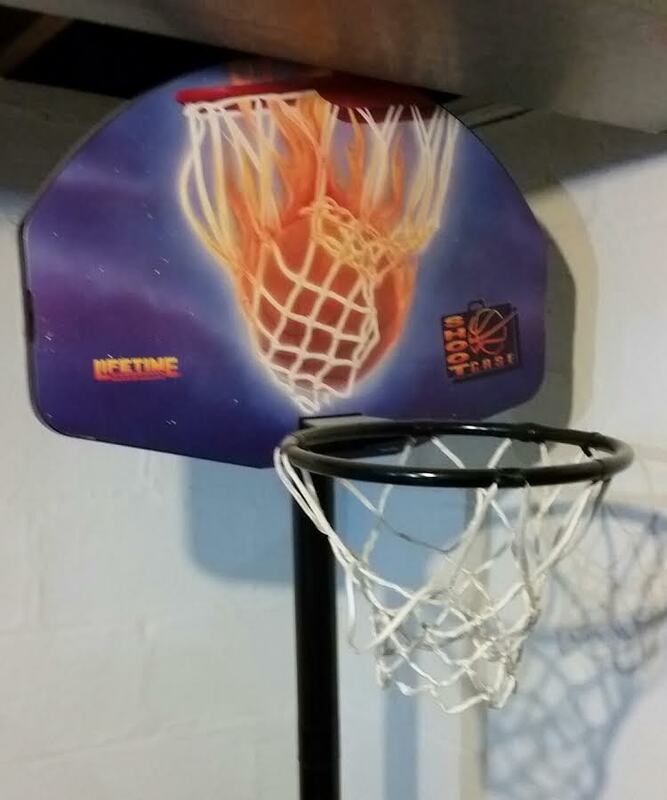 Picture: The mini basketball hoop that was in my basement growing up. We had some battles on this thing over the years. This really tested our friendships because, inevitably, every time we got together to "play/hang out" it would end in a fight. It's a good thing we were still a bunch of skinny pipsqueaks and couldn't do much damage to one another. So when I say "fight" I mean the equivalent of one guy putting another guy in a head lock, and then everybody else jumping on the pile to break it up within a few seconds. Things stayed like this until we graduated and went our separate ways. Sports taught us that we had to prepare and compete our hardest to win. It taught us how hard you have to fight for victory and success in anything you choose to pursue in life. Looking back, we fought because we all wanted to win at whatever we were doing, and we realized at the beginning of our athletic careers that we wouldn't win unless we were willing to fight for every inch, every point, every run, or whatever the means to victory was. 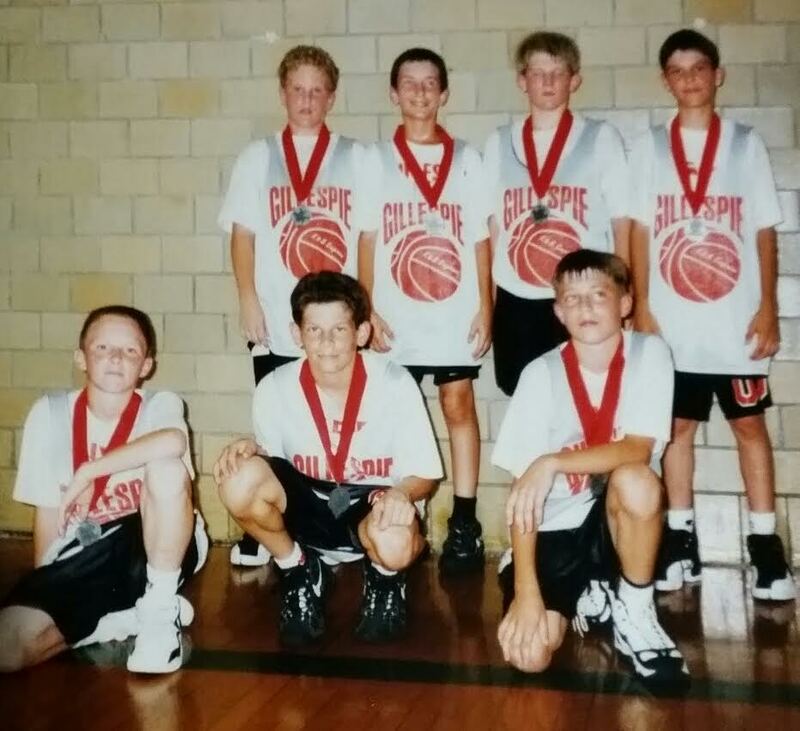 Picture: My friends and I at a summer basketball tournament in middle school. Years later when we got out into the "real world" we learned the value of these experiences. I can't say that we've all been successful, YET. But I can say that we know how to fight for what we want in life. We know how to scratch, claw, and hustle our way up from rock bottom, and that I believe is an underrated part of building your ideal life. And I know that one day, for all of us, our health will require us to fight for it, and when that day comes...we will be ready to face the challenge! I wrote this article because I want YOU to be ready to fight through the tough challenges that will come YOUR way!